As Matthew and Staind have said, it’s been a while. What is the best way for us to get the good times rolling again here on the blog? 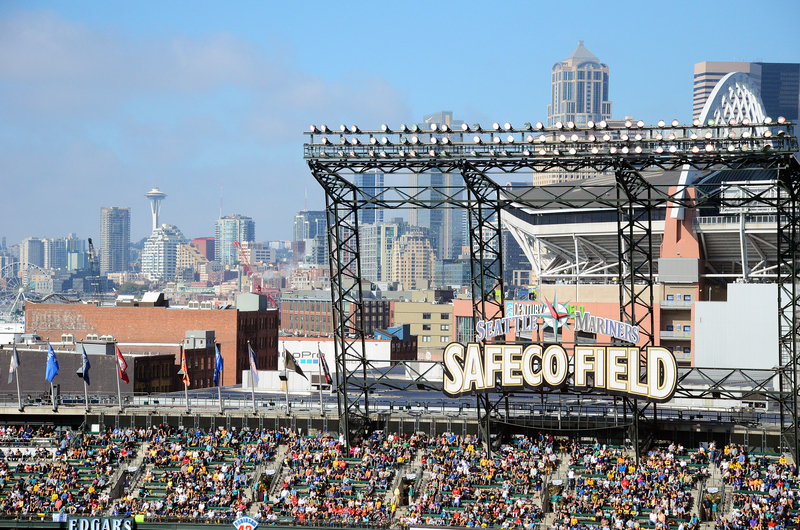 A thoughtful piece on what it will be like when playoff baseball makes its way back to Seattle? That sounds nice, but no. A thorough recap and discussion on the Mariners off-season? That would make too much sense. A season preview? That’s coming. After much contemplating the best way to welcome ourselves (the Good Guys) back to the internet while showing off our incredible knowledge and writing skills is… A list! Why wax poetic when I can write a post inspired by scribbles someone takes to the grocery store? Okay, okay. I admit, this is the easy way out. But, each and every day that April 6th creeps closer brings more and more thoughts of why I’m excited about the Mariners season. That’s exactly what this list is – reasons why I’m excited about the Mariners season. These are in no particular order and some may be more general baseball reasons. Others might be things that I’ve missed watching the Mariners do since last September. Get off my back, I’m a little rusty when it comes to writing about sports! Before the list, here’s a song called Reasons Why. It’s about a break-up, not baseball. Without further ado, here’s my list of reasons why I’m excited for the Mariners season (presented in bullet-hole format in honor of Jeff Sullivan’s late, great game recaps). Logan Morrison running in from first to watch Rodney’s arrow fly. I love this even when Rodney forgets that he’s there. Dustin Ackley doing weird but effective things in left field. Mike Zunino dropping his head and then barking at the umpire as he runs out to the pitcher after a blown strike call. Robinson Cano being the most relaxed professional athlete in the world. Jesus Montero running the bases. Seeing a real middle order of the lineup instead of Jose Vidro, Justin Smoak, and Adam Kennedy (no, they weren’t all together but it felt like they have been for the last 15 years). Eating a Torta at Safeco Field. Following the maturation of James Paxton and Taijuan Walker (hopefully). Lloyd getting thrown out of games. Nelson Cruz hitting the ball really, really hard. Kuma’s stretches before every inning followed by pin-point control. Some awkward Jen Mueller interviews. That amazing Fernando Rodney entrance. I really hope that hasn’t changed. Felix doing everything else along with those inning-ending fist pumps. 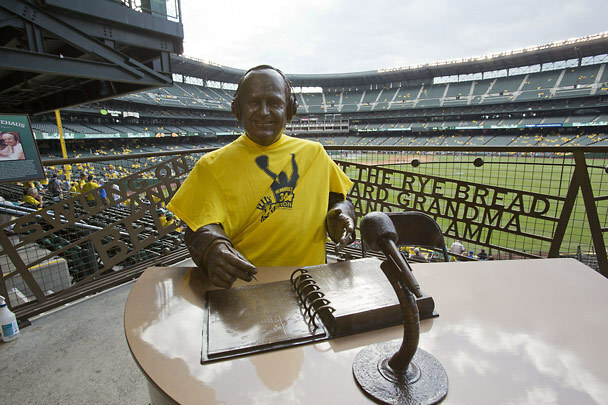 Safeco Field having a buzz that’s been missing since the early 2000’s. Having a pennant race in Seattle. There’s more but you have to be getting bored at this point. Add your own in the comments! Go M’s! Baseball’s a funny game. You can love your team. Then, if you love them enough, you’ll love their top prospects. If you love the top prospects enough, you’ll start to learn about the top performers on each farm team. It goes on and on until you start reciting the Clinton Lumberkings lineup numbers to your friends at a dinner party. Some people say it’s a waste of time and that’s fine. In 2009, the Mariners sent some scouts to South Korea to take a look at a group of pitchers, namely Seon Gi Kim. The Mariners ended up signing that pitcher and brought him stateside. Catching Kim that day was a converted third basemen who not many knew about. The Mariners liked what they saw in the short tryout and decided to sign him, as well. This happens fairly often. Teams take flyers on guys and this third basemen-turned-catcher happened to be one. Once stateside in 2010, these 2 players joined the Arizona rookie league. Kim had good stuff but sported a ballooned ERA. The other South Korean didn’t have any trouble though. He hit .360 with a .440 OBP and .517 slugging percentage. He was eventually promoted to the high-A team, High Desert, and posted an .822 OPS all as a 19-year-old. Mariners prospect nerds became enticed with this player who was unknown a year before. The legend of Ji-Man Choi was born. While Choi was hitting everything in sight, the Mariners were slowly breaking him into the catcher position. He played most of his time and first base and DH but every third or fourth day he’d be behind the plate. Needless to say, a left-handed hitting catcher who drew a ton of walks was pretty exciting. 2011’s spring training rolled around and there was Choi, working out with the catchers. Then, all of a sudden, he was just gone. Following minor-league baseball is hard to do in this day and age because we, as fans, are so used to getting all the information we want right away. When a low-minors baseball player disappears from box scores there’s only so much a common fan can try to figure out. This was the case with Choi. Eventually it came out that Ji-Man had back pain. The pain was so extensive that he didn’t play a game in 2011. They eventually found a broken bone and then inserted a rod and two screws into Choi’s back. The first few months of 2012 came and went and there was no sign of him in the box scores. He had the rod and screws removed and later showed up in Clinton in late May. Missing your 20 year-old season as a baseball player is a big deal. That’s one of the formative years for prospects. Choi hadn’t played in a baseball game in almost a year and a half. He was inserted into the Clinton lineup and on his first day back he went 2-4 with a double. Ji-Man looked as if he hadn’t missed any time at all. He split that time in 2012 rotating between first base and DH and ended. He wasn’t great but he was good and, as a 20 year-old, he put up an .895 OPS. As prospect lists became to come out over that off-season, Choi was left off. There were two reasons for this: One, he had just been injured for a year and a half. Two, he didn’t have enough power to be a major league first baseman. 2013 came and Ji-Man started the year at High Desert. A hitters paradise. In his 48 games there Choi posted a .337/.427/.619 slash line. He had more extra base hits than singles and walked 27 times while only striking out 33 times. Naturally, he was promoted to Jackson, the Mariners AA team. The average dropped off some there but not much else did. He sported .862 OPS in his stop in Jackson, a much tougher league to hit in, at the ripe age of 22. My favorite stat from there? His 32 walks and 28 strikeouts. At the end of his great season, he got the call up to Tacoma for a handful of games. It was the cherry on top of a great season. Choi started appearing on more prospect lists over this off-season. One complaint remained. Yep, you guessed it. He can’t hit for enough power. Still, the Ji-Man train trudged on. He started 2014 in Tacoma. Guess what he did there? Hit. He hit a lot. In 10 games he posted a .395/.500/.545. Granted, it was 10 games but anyone who had followed his career wasn’t surprised. The guy had already overcome so much, being only 22, that it wasn’t a surprise that he was, well, a surprise. Maybe the Mariners finally had a guy to push Justin Smoak. A guy who maybe didn’t have the power potential but actually had some consistency. A guy who could possibly do what John Olerud did on the last successful Mariners team, get on base, hit doubles and play great defense. Word broke this afternoon that Ji-Man Choi had been suspended 50 games for the use of a performance enhancing drug. The drug was methandienone, a type of anabolic steroid. Maybe it didn’t make sense at all? Why would a guy who has never been the ‘star prospect’ but overcome that with pure skill and a disciplined approach break from that? Choi is a smart baseball who makes up for his lack of home runs by taking his walks and hitting the ball into the gap. Why would a smart guy do this when he was so close? The only person who knows if Choi took this steroid is Choi himself. He said he didn’t and many people probably don’t believe him. He’s probably used to people doubting him anyway. Hopefully, he doesn’t care. Baseball’s interesting. You know 25 guys and then you read about the next 25 guys people think you might see in a few years. It goes on and on until someone tells you to shut up at a dinner party. For some reason, I love Ji-Man Choi’s story and today it took another turn. My favorite prospect, a guy I’ve never seen play a game, is out for a while because he possibly did something bad and I’m upset. I’ll look forward to early June when Choi will show back up in the Tacoma box scores and Mike Curto will send out tweets about his 2-4 nights, with a double and a walk. 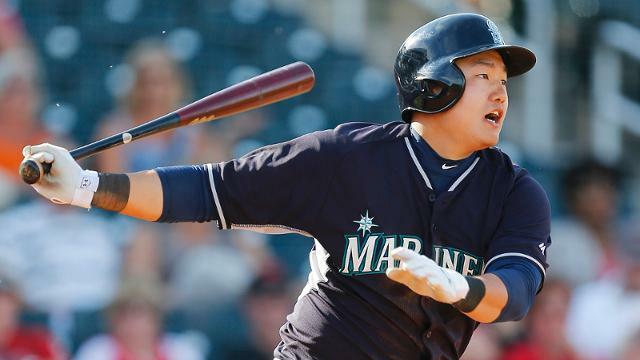 In the mean time I’ll just keep envisioning Choi as the next John Olerud. That’s ending of his story that I like the best. I wonder how Jabari Blash is doing. Mariners Begin Season, Let’s Review! At the start of the baseball season I had this idea to write a recap of each series the Mariners played. Then the season started and I got busy, tired, sleepy, or lazy. So now here we are, 12 games into the season and I think it’s time to recap what happened so far. If I do that then I could maybe do a series recap starting Thursday! Probably not, but maybe. I’ll keep you on your toes. For now, I’m going to give you a very short series recap of the 4 series the Mariners have completed and then take a closer look at the lineup. Let’s get started! March 31-April 2: Three game sweep of the Angels! What a way to start the season. I hate the Angels so it was nice to pummel them. The offense battled against some pretty good starting pitching and then destroyed a pedestrian bullpen. The pitching was very good all series. The closest game of the series was an 8-3 victory. Star of the Series: Justin Smoak – Smoak came up big all series long. He hit a big dinger in the first game and rocketed a bases clearing double off of CJ Wilson in the second game. Goat of the Series: No one – I searched through the box scores. There was no one to pick. Every single position player got on base and no pitcher had some crazy meltdown. The A’s seem to be pretty even with the Mariners, actually probably a little better. This was a strange series. Erasmo threw a clunker. Elias was screwed over by the worst umpiring I’ve ever seen. Felix threw a gem. The Oakland grounds crew did something ridiculous and a game was postponed. The series was annoying and really weird. The offense was able to squeak out 8 runs over the 3 games. The A’s pitching is really good and the offense hasn’t figured them out yet. 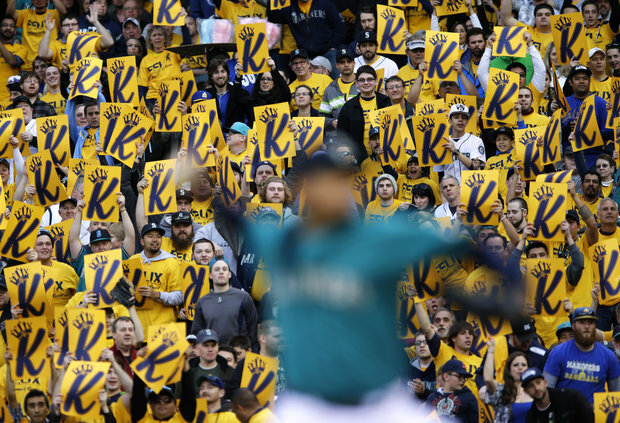 Star of the Series: Felix Hernandez – I think Felix is the right choice here. He threw a fantastic game and got the Mariners their only win of the series. Goat of the Series: Hector Noesi – Noesi threw 2 pitches and gave up a walk off homer. It was as predictable as things could get. He’s now gone. Other goats considered were Sean Barber, Oakland grounds crew, and Coco Crisp (he really was terrible for the Mariners). April 8-9: 1-1 in a 2 game series against the Angels. The season opener was electric. Paxton recovered from a rocky first inning and threw a great game before coming out with an injury. Hart had his best game of the season to date, homering twice. The next game was ugly, as the Mariners were shut out by Garret Richardson. Roenis Elias threw well but not well enough to overcome the offense being shut out. That’s pretty much impossible to overcome. Star of the Series: Corey Hart – He didn’t do much on Wednesday (although he did get on base) but his two dingers won the game on Tuesday. Goat of the Series: Dustin Ackley – Ackley didn’t record a hit in this series. A small blemish in an otherwise very good year to date. It sure is annoying playing the A’s all the time. Each game against them feels like a struggle. It really is. They don’t make many mistakes and their pitching is so good that you just have to scratch out some runs. Friday night was an extremely fun baseball game. Saturday and Sunday the Mariners scored a total of 1 run. Thankfully, the Mariners don’t play the A’s very many more times before September. Star of the Series: Dustin Ackley and Felix Hernandez – After the performance that Felix put up on Friday, I have to include him. Ackley went 5 for 8 in the series with 2 doubles and quickly bounced back from his lackluster series against the Angels. Goat of the Series: Justin Smoak – Smoak didn’t get a hit all weekend, even though he did hit some balls hard on Friday. That left the Mariners with a 6-5 record after 11 games. They won tonight (7-5) and I think anyone would have taken a 7-5 record to start the season. Happy Opening Day! The Good Guys got together and tried to predict the future (actually we just sent a few emails and tried to predict baseball). So, as you enjoy baseball throughout the day and King Felix tonight, jot down some of your predictions in the comments. Or just make fun of ours. Whichever works. Here are some predictions for the 2014 season for baseball, in general, and the Mariners. Andrew: I think it will surprise people how much a legitimate all-star in the middle of your lineup will help a team. Since that’s a cheap one, I’ll also say that I think James Paxton makes a run at Rookie of the Year. 1. We miss you, Dave. Randy Wolf Is Gone. Who Cares? Apparently, anyone who claims to be a fan of the Seattle Mariners. Except the Good Guys. This afternoon, Randy Wolf was released by the Seattle Mariners because he didn’t want to sign some complicated contract (basically, if he wasn’t on the club for 45 days then he wouldn’t be owed a million dollars). The Good Guys sat at their respective places, saw the news and celebrated! We don’t have to watch some below-average lefty, who is not a part of the team’s near (or distant) future, make any starts as a member of our hometown team! We saw this story last year with Joe Saunders, except Wolf is even worse! The rest of Seattle fell into a panic and I still haven’t figured out why. I know people really don’t like Hector Noesi and understandably so. Blake Beavan isn’t our favorite guy either but both of these guys are on par with Wolf (sure, they might be a little worse). They don’t have to pay either of those guys what they were going to pay Wolf. Heck, there are other free agent options out there who are better than Randy ‘hang ’em and bang ’em’ Wolf. Mostly, I just don’t understand the freak out but there are two points I want to make. The 5th starter (where Wolf is headed) will only make 1-3 starts before Walker comes back. Walker is about 3 or 4 weeks away but the Mariners only need to use the 5th starter once in the first two weeks because of off-days which will allow them to skip the spot the rotation. Literally, they only would need to use that 5th spot once before April 15th (the day Walker could come off the DL). The other issue people keep talking about is that the last 2 days have ruined the Mariners rotation depth. I have two thoughts on this. First, if a player is going to make a couple of starts and then decline to go to AAA, that’s not rotation depth, it’s just a stopgap. Rotation depth is built in the minor leagues and the Mariners have done a fairly good job with this in recent years. Secondly, no team is ready to have 2 starters out. Look at Oakland, Texas, or Atlanta. All of them have injury problems and their rotations are a bit of a mess right now. Randy Wolf was the Mariners 8th or 9th starter. That’s not bad. They got rid of him because he thought he was good and got greedy. He’s not good. Sure, it would have been great to add a free agent arm this off-season but not for the contracts they were going for. Some didn’t have any interest in coming here. Everything is okay, everybody. By next month, none of this will matter. Roenis Elias is a fun filler in the 4th spot in the rotation. No one knows anything about him so he could catch some teams by surprise for a few weeks, then the guy who finished 3rd in Cy Young voting can take his spot. The 5th spot could be ugly for 1 or 2 starts and then the top pitching prospect in baseball can take his spot. Things aren’t so bad. Aaron Harang could be the Braves third starter to start the season. Joe Saunders could be in the Rangers rotation until July. The Mariners are in fine shape compared to these teams. Go enjoy some baseball and stop freaking out about cutting a guy who hasn’t had an ERA under 5 in the last 3 seasons.